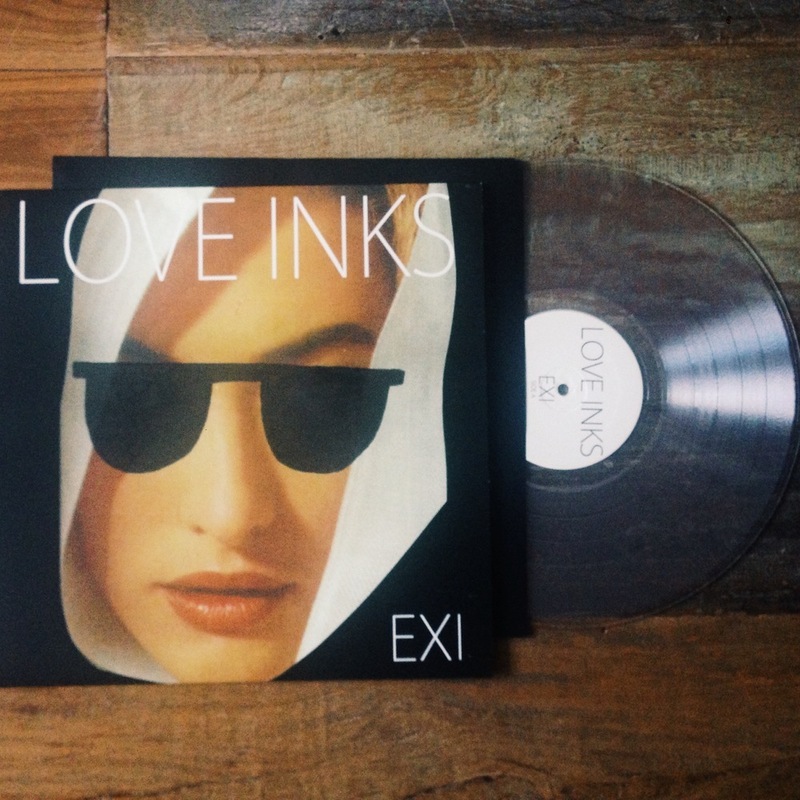 A little less than a year ago, Love Inks gave you Generation Club, a synthesizer filled mix of tracks that took on the minimalist electro-pop genre well. 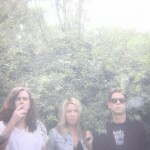 Not even taking a moment to breathe, the band has lined up another album for purveyance and EXI is a stripped down approach to contrast their last work, playing with space instead of filling every empty crack with sound. As I’ve just mentioned, this album feels like an inverted take on the sound that Love Inks doled out last go-round. 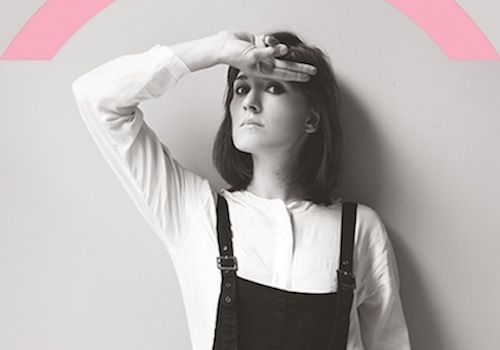 The dreamy-electro pop is still there, but it’s subtler in the approach. First track, “Shoot 100 Panes Of Glass,” gives a little taste of this style, breaking in the minimalist style. Sherry Leblanc’s velvet vocals fill most of the track, but there is also a soft drum machine, bubbling bass, and traces of guitar here and there to compliment the deep vocals. The beauty is in the details here, and the minute guitar work at the end of “Regular Lovers” is a perfect instance of this, with just the faintest hint of a riff coming through at the end to top off the song. Along with the vocals becoming even more so the central element to this band’s sound, so, intrinsically have the lyrics. The title track is a testament to this theory, with the track becoming a story, starting out with the tale of a female protagonist and then follows this character through the whole track. 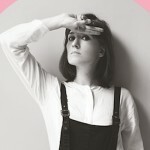 For the chorus, it turns personal, as the lyrics twist and turn, embodied in the Frankie Rose-esque vocal fashion. In the chorus, which comes across as a chain of word association, Leblanc chastises a former lover: “You were never there when you should have been/You could never see what was right in front.” As the song goes along, it starts to loop on itself, but then comes to an abrupt and sudden halt in which the music is replaced with what sounds like a skipping record, perhaps mirroring the end of the aforementioned relationship. All in all, Love Inks wear this minimalist approach with effortless grace and beauty, though it becomes a little repetitive at points. However, I still find myself falling into tracks left and right, and letting the quietness of the album take me away with its soothing subtleties. 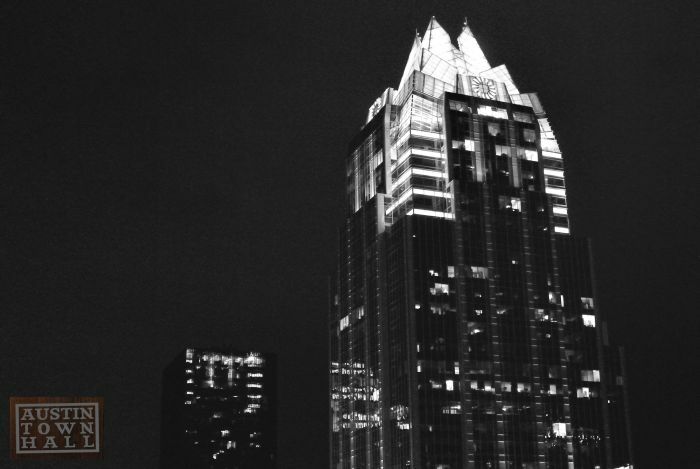 Once again these locals prove that Austin is home to some great bands in every genre. 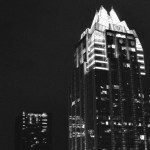 Austin Spotlight: Two Weeks Until the Love Inks New Album! 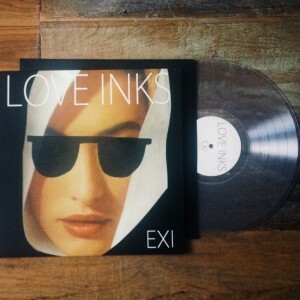 We’re just a short distance away from the release of Exi (September 9th), the newest album from Austin’s Love Inks. I’ve always appreciated the group’s work, but I really enjoy their use of space on this latest single. 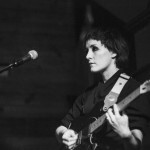 Sherry’s voice is the dominant focal point, while there’s very light bass movement in the distance, accented by little guitar pieces and synthesized beats. The song walks this fine line of feeling huge and empty at the same time, which is quite an accomplishment in and of itself. Those living outside of Austin will again get a chance to see the band perform live, as they’ll be touring the States throughout September. 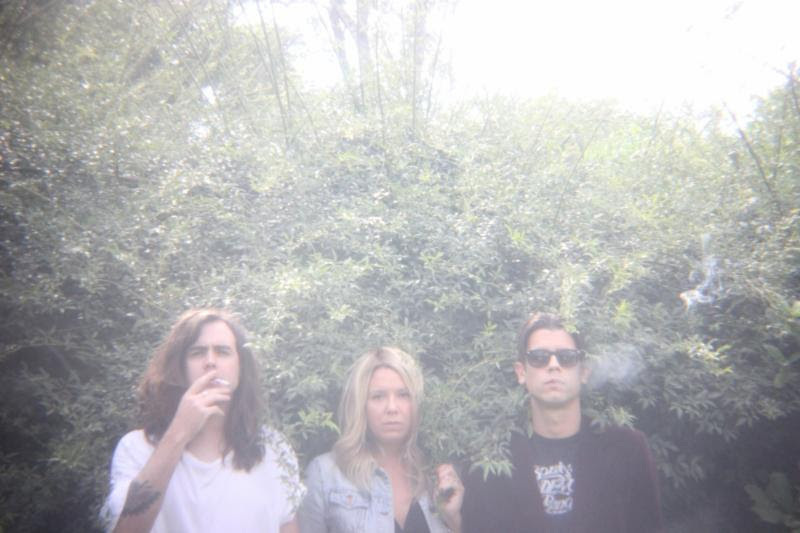 It’s been a great week for Austin acts, with Basketball Shorts and Letting Up Despite Great Faults all releasing new tunes, and now we have another one of our beloved locals returning to the fold, Love Inks. Of course, the star of this slow-core show is going to be Sherry, who’s vocals dominate all the bands work, but I personally love the restraint that’s being shown. Guitar lines are relaxed, moving beneath the pulsating electronic beat; it’s a great atmosphere for the group to showcase just how powerful they can be, without actually being, powerful, in regards to volume. Their new album, Exi, will be out on September 9th. 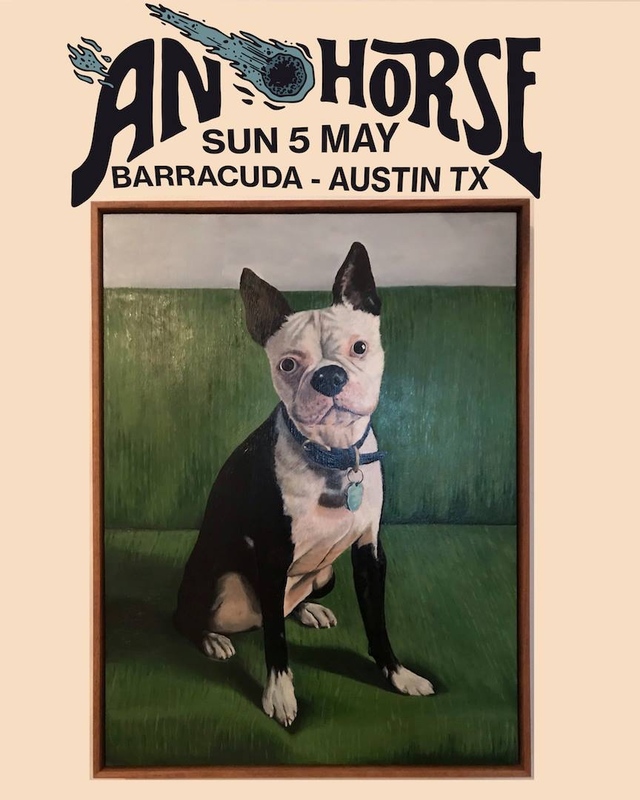 What’s better than a free show at one of Austin’s best venues? 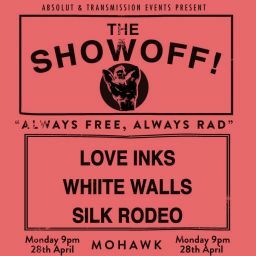 A free show with three incredible electronic bands, and that’s precisely what you’ll get if you head out to Mohawk tonight. First up you’ll get Silk Rodeo; they offer a dark bit of electronica with an ability to build their sound to swelling heights of pop delight. 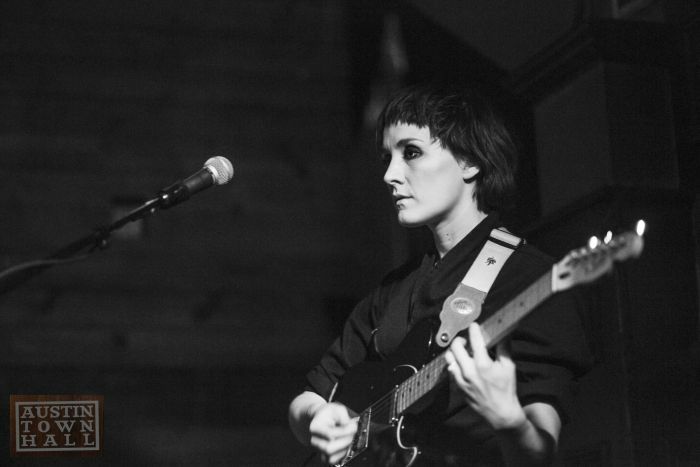 Then, there’s Whiite Walls; this is perhaps one of Austin’s biggest rising electronic based stars, though they play with a full-on band, making their sets remarkable. Closing the night will be Love Inks, who affirmed their place in the local music scene with last year’s Generation Club. I hear they’re working on brand new tunes, so you might get a set full of new tracks for your ears. 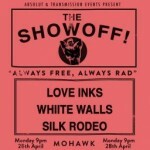 In the end, it’s a great local bill, and one you’ll be sore about if you don’t take advantage of this FREE SHOW.